Here’s Paul W. from Tangleweed. 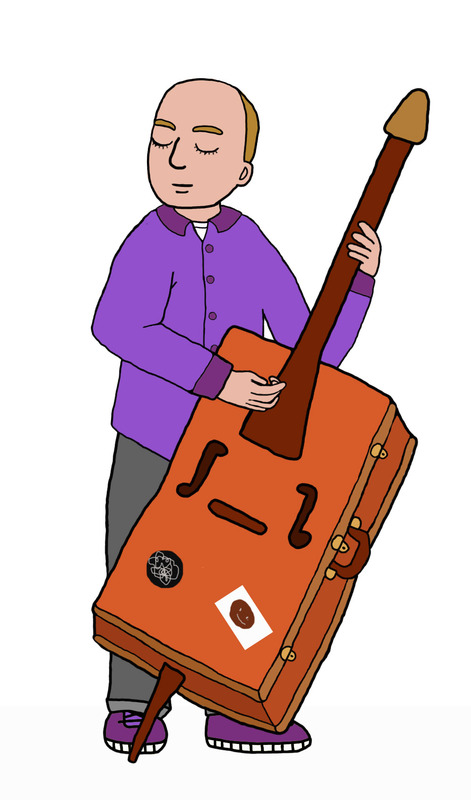 He plays a bass that he made out of a vintage suitcase! For Paul I made 3 heads and two hands. So far I’ve only used one of the heads but might use others for other scenes.